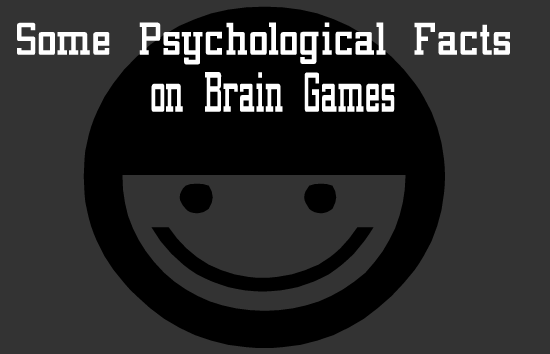 Do Brain Games Increase IQ or Short-Term Memory. New research suggests that brain training programs might strengthen your ability to hold information in mind, but they won’t bring any benefits to the kind of intelligence that helps you reason and solve problems. 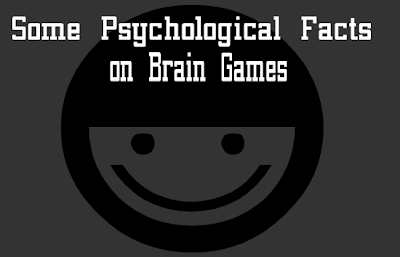 The findings are published in Psychological Science. “It is hard to spend any time on the web and not see an ad for a website that promises to train your brain, fix your attention, and increase your IQ,” said lead researcher Randall Engle, Ph.D., of Georgia Institute of Technology. Engle and other are concerned that the advertisement mislead parents and other consumers. According to Engle, the claims are based on evidence that shows a strong correlation between working memory capacity (WMC) and general fluid intelligence. Working memory capacity refers to our ability to keep information either in mind or quickly retrievable, particularly in the presence of distraction. General fluid intelligence is the ability to infer relationships, do complex reasoning, and solve novel problems. The correlation between WMC and fluid intelligence has led some to surmise that increasing WMC should lead to an increase in both fluid intelligence, but “this assumes that the two constructs are the same thing, or that WMC is the basis for fluid intelligence,” Engle said. In an experiment to validate the relationship between these two aspects of cognition, Engle and colleagues had 55 undergraduate students complete 20 days of training on certain cognitive tasks. The students were paid extra for improving their performance each day to ensure that they were engaged in the training. Students in the two experimental conditions trained on either complex span tasks, which have been consistently shown to be good measures of WMC, or simple span tasks. With the simple span tasks, the students were asked to recall items in the order they were presented; for complex span tasks, the students had to remember items while performing another task in between item presentations. A control group trained on a visual search task that, like the other tasks, became progressively harder each day. “For over 100 years, psychologists have argued that general memory ability cannot be improved, that there is little or no generalization of ‘trained’ tasks to ‘untrained’ tasks,” said Tyler Harrison, graduate student and lead author of the paper. “Height and weight in human beings are also strongly correlated but few reasonable people would assume that height and weight are the same variable,” said Engle. While the debate continues, the investigators plan to continue this research to better understand how training specific aspects of cognition can lead to positive transfer to other tasks, both in the lab and in the real world.